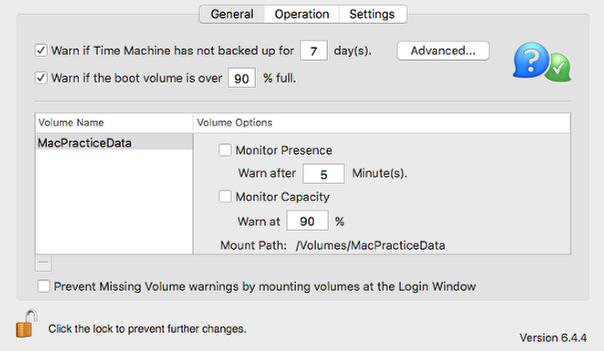 If MacPractice is running on a machine, Watchman Monitoring can be configured to monitor the volumes and to send a warning if the application is not running. 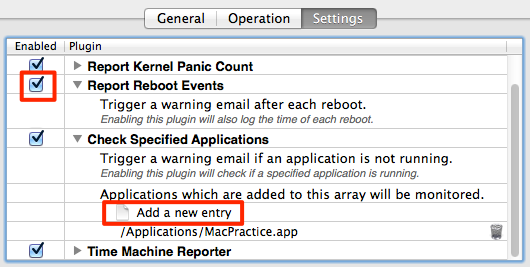 To configure the Monitoring Client to monitor a specific application such as MacPractice, open the PreferencePane on the computer running the application. Additionally, we have released an open-source product called BackupMinder which can monitor backup activity, trim old backups, and keep a monthly archive. With BackupMinder in place, Watchman Monitoring will send an alert if backups aren't happening on a regular basis. Check the box next to Check Specified Applications. Turn down the triangle next to Check Specified Applications.